You can begin your teaching career at Dormers Wells High School through the School Direct Programme. 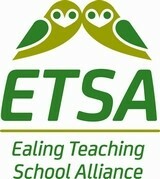 Dormers Wells High School is part of the ETSA – the Ealing Teaching School Alliance. ETSA coordinates Initial Teacher Training in an Alliance schools through the Government's School Direct scheme. This is an exciting and innovative collaboration based in the London Borough of Ealing. The Alliance comprises of 12 secondary schools and is in partnership with the Institute of Education (IOE) and King’s College, London. Schools within the alliance have well-established training programmes and an excellent track-record of induction. ETSA’s commitment to ensuring that all trainees, regardless of subject or route, are able to benefit from the experience and expertise of the very best practitioners makes it an excellent place to train and procure employment once qualified. School Direct Unsalaried (sometimes referred to as the training route): This is aimed at graduates and there are bursaries available depending on subject and degree classification. Training is provided by your main school and, for the majority of ETSA placements, the IOE. This route leads to QTS and a PGCE (with credits at Masters level). School Direct Salaried: This is aimed at career-changers with at least three years of relevant work experience and will see you employed as an Unqualified Teacher by your main school. ETSA schools all benefit from London weighting. You will also still have the opportunity to spend 4-6 weeks in a contrasting school. Training is provided by your main school and, for the majority of ETSA placements, the IOE. This route leads to QTS only but you can continue your studies in your NQT year (Newly Qualified Teacher) to obtain a PGCE – this is at an additional cost but still tends to be less expensive than the PGCE route. How to apply for School Direct vacancies at ETSA: Applications for ETSA’s School Direct Programme must be made via UCAS. To view our list of vacancies and to apply, please search for “Ealing Teaching School Alliance” in UCAS Teacher Training.